If you really want to protect your property, you have to think like a burglar. Unfortunately, you can’t just walk up to a thief on the street and pick their brain about what makes a home an easy target, and what doesn’t! 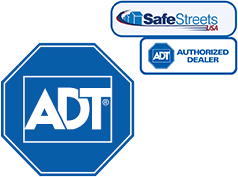 With our experience in the home alert system industry, we know exactly what burglars don’t want you to know. This list can help you protect your home in ways that you may never have imagined. When you think of a burglar, you likely have a stranger in mind. However, the truth is, you probably already know your burglar. In order to ensure a successful burglary, a thief will spend a lot of time getting to know your property and the habits of your family. Maids, carpet cleaners, delivery men, and even nannies are all more likely to burglarize your home than a stranger. Don’t discount the people in your neighborhood that you don’t know personally, but you’re used to seeing. People who frequently walk or drive through your neighborhood, and even the neighbor’s landscaper, are all potential thieves. Because the person who burglarizes your home isn’t likely to be a stranger, they can easily find you on social media websites, like Facebook. Although it’s generally not a bad idea to friend or like the people and companies that provide you with services, the information you share on your Facebook page is a big deal. Announcing when you’re away from home sounds obvious, but thieves are keyed into more subtle social media clues. Discussing long hours at the office, your child’s soccer schedule, and posting pictures while you’re on vacation are all great ways to encourage a potential burglar to make a pit stop at your house. If a potential burglar doesn’t know exactly who you are and doesn’t watch you and your family on Facebook, there are still plenty of other ways for him to determine your daily schedule and whether or not you’re on vacation. A quick peek in the mailbox and observing how many papers collect on your doorstep before they are removed are both quick ways to determine whether anyone is at home or not. Especially clever burglars may post a flyer on your door to see you how long it takes you to remove it. Speaking of signs that you’re not at home, if you live in a cold weather climate, taking care of the snow on your property is a must, especially if you’re away. Snowdrifts in the driveway and snow covered sidewalks without footprints are all dead giveaways that you aren’t at home, even if you’ve got your lights and television on a timer. You’d think that people would understand the importance of shutting the windows during the day, but many people still continue to leave windows cracked to let in some fresh air while they’re away from home. Even if you shut the windows, it is important that you latch them closed. If you frequently open and shut your windows, a burglar keeping an eye on your property may try to open your windows, banking on the fact that they probably aren’t locked. Speaking of sneaking in through the window, don’t think open windows on the second floor of your home are safe. Burglars aren’t opposed to climbing through an open window on the second floor of a home. This is an important consideration when it comes to your home security system as well. Most people install sensors around the front and back door, above the kitchen window, and other lower windows that are out of sight. It’s worth your time to place a sensor near your upstairs bedroom window too. It’s amazing all of the hiding places that may seem like good hiding places, but they really aren’t. Storing money in the sock drawer and under the bed may make you feel sneaky, but these are the first places a burglar is likely to look. Instead, choose unexpected places to hide valuables, like in the pockets of jackets tucked in the back of closets and in the toes of ratty old shoes. Don’t forget about your safe! Chances are, a burglar won’t be able to open it quickly, but if he can lift it, you can bet that he’ll be taking it with him. By understanding how burglars think, you can better protect your property and your family. A home security system is definitely a great way to keep thieves at bay, but with the information on this list, you can do small things, like locking windows and plowing your driveway, to keep your home safe and secure.